Tagged With: 21 Window Distillery, 3 Howls Distilling, 9th Annual Debuts & Discoveries, At Large Brewing, B Side Brewery, Barbarian Bar Tools, Bon Appetit's Mobile Mavens, Coach House Cellars, Damsel Cellars, Delich Distillery, Farmstrong Brewing, Grapeworks Distillery, Greenwood Cider Company, La Chanterelle Winery, Leony's Cellar, Locus Wines, Locust Cider, Lowercase Brewery, Magnuson Park, Neigel Vintners Cider, Newsprint/Guardian Cellars, Nightside Distillery, Noviello Vineyards, Outdoors for All Foundation, Pearl & Stone Wine Co., Piggy Back Cellars, Plain Cellars, Roza Hills Vineyards, San Juan Hand-Rolled Cigars, Sandpoint Naval Air Station Hangar 30, Sat. 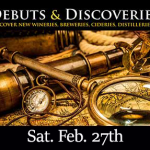 Feb. 27th 2016 Seattle, Schilling Cider, Schnapsleiche Spirits, Seattle Uncorked, Swede Hill Distillery, Sweet Lil Cakes, Temple Distilling, Three Of Cups, Triplehorn Brewery, University Sunrise Rotary, WBS Events, Welcome Road Winery, Wine Tasting, Woodinville Cider Co.
MEET YOUR MAKER – 2nd Annual Local Distillery Tasting! Join us for this 2nd Annual Grand Distillery tasting at the new events space “The FactoryLuxe” in the Old Rainier Brewery. 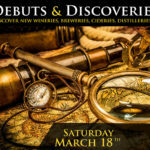 This is a great chance to try some of the latest and greatest distilled spirits to come from the Washington Distilling Revolution! Tagged With: 3 Howls Distilling, Absinthe Martineau, Bainbridge Distillers, Barbarian Bar Tools, Batch 206, Blue Water Distillers, Captive Spirits, Copperworks Distilling, Dark Moon Artisan Distillery, Double V Distillery, Eves Apple Pie Moonshine, It's 5 Distillery, Letterpress Distilling, Mt. Index Brewery and Distillery, old Rainier Brewery, Oola Distillery, Pacific Distillery, Seattle Distilling Company, Seattle Wood Fired Pizza, Sidetrack Distillery, Skip Rock Distillers, SoDo Spirits Distillery, Sound Spirits, Swede Hill Distillery, The Barrel Thief, The FactoryLuxe, The Hardware Distillery, Washington Distiller Guild, Westland Distillery, Wishkah River Distillery, Woodinville Whiskey Co.